Full of natural goodness, for old and young heroes everywhere! mountain slopes, ventilated by sea breezes, with ample access to sunlight. 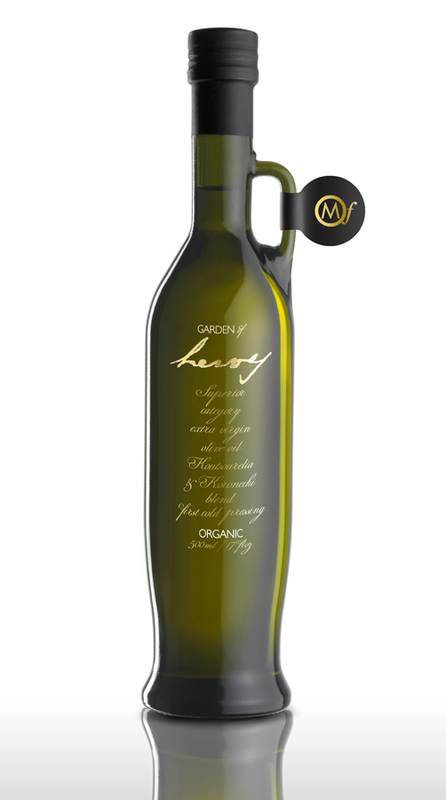 Garden of Heroes™ organic extra virgin olive oil is produced from hand-picked, mainlyKoroneiki olives, milled soon after harvest and stored in airtight containers protected from oxygen, light and heat until ready for bottling. Finally, the oil is minimally filtered, resulting in a rich, fruity olive oil with the aroma of freshly-pressed olives, high in beneficial polyphenols. We named our organic unfiltered extra virgin olive oil Garden of Heroes™ because ofMessolongi’s unique place in history as the “Sacred city of immortal heroes”.